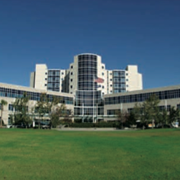 Carolinas Hospital System is a leading regional acute care facility, dedicated to serving the health care needs of the citizens of Northeastern South Carolina. The 420-bed facility has more than 1,800 employees and nearly 300 physicians representing all major specialties. The hospital’s Chest Pain Center is first in the region to be accredited. Carolinas Hospital System strives to exceed patient expectations, while delivering compassionate, quality care.